Even though we all get tempted to eat the delicious local food when on travel and it all looks great, after all its part of the experience, here is something you need to take into account and watch out for when eating abroad, especially in 3rd world countries. 1. 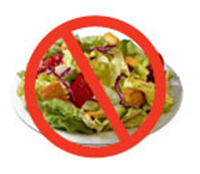 Avoid eating Raw salads. The reason this is the case as with many countries, the water is no healthy and most foreigners get sick just by changing the water. In some cases, the local water could even carry viruses and could case many sicknesses. That being said, some salads are not even washed properly in these restaurants. 2. You could even save money by buying from the local grocery stores. 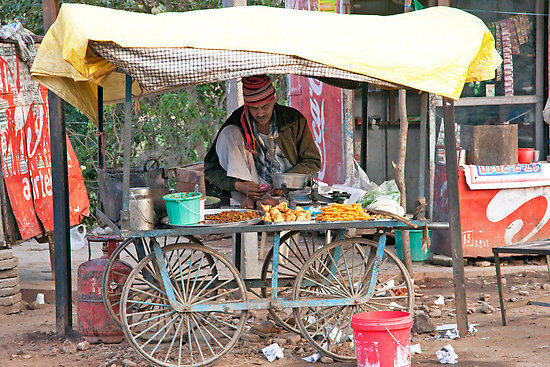 Local stores usually carry a lot of food that is local and some that is imported which you can have. Cooking and washing it yourself is your best bet in some areas.It could also save you a lot of money. If you apartment or hotel is not next to a grocery store. If you’re unfamiliar with an area just ask around! Sometimes you even have a fridge in your hotel! I always prefer to sleep in hotels/apartments that have fridges. 2. Never leave your hotel/room without a water bottle that you can trust. It can be filled from a place you trust or bought from it. I prefer usually reusable water bottles that i can fill up as i move around the country. Dont drink tap, fountain water and unpasteurized milk. 3. When ordering food from a a local restaurant, make sure that the place is clean and kitchen looks clean and the place is busy with people. This is indication that place is clean. After all, you dont want to eat off a plate that hasnt been cleaned properly and make sure not to drink tap water. 4. Avoid unpasteurized dairy products, including cheese and yogurt. Check labels for evidence of pasteurization; most canned milk is safe. Avoid as well raw meat and cold meat platters. They usualy are infested with bacteria and are unsafe. 5. It is best to eat cooked food. This way you make sure the food has been cooked at a certain temperature that will kill some forms of unsafe bacteria. 6. 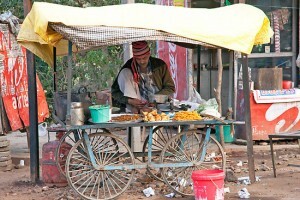 Avid purchasing food from street vendors. Its is safe in some places yet you wouldnt know what is safe and what isnt, so best to avoid it all together unless it came recommended. 7. Try to eat healthy as much as you can. Being on the road can be tiring and a change in diet can make a person more prone to sicknesses and may loose some vital minerals and vitamins. Eating healthy includes mostly vegetarian dishes and peeled fruits. 8. Stick to safe foods that you know and look familiar. Risking eating food that is unknown could be thrilling to some people yet the risks outweigh the pleasure of it as getting sick on a vacation is the last things anyone wants to face! 9. Try not to intake any water when you are bathing or swimming. This water could be dangerous and make you sick instantaneously!